Serial, unpermitted marches; a die-in on a major bridge; even overnight encampment at City Hall did not get #BlackLivesMatter concerns into meetings with the Mayor/ Police Commissioner in Portland, Oregon. Instead of allowing public testimony on a secretly negotiated police contract, the City repeatedly ordered police suppression. One bone was broken; throngs were subjected to chemical weapons, nearly a dozen were arrested on 13 October 2016. On the day of the police riot, a citizen journalist with whom I occasionally collaborate posted video of his morning commute. Joe Anybody recorded something extraordinary. It may astound folks who tediously organize public involvement: he found spontaneous solidarity. I acknowledge the above, 18-minute video requires sacrifice of moments spent otherwise. There’s a certain tension, watching the vignette roll out in real time, however. Transit riders grow ever later in arrival at work: a Fare Inspector counts on public fatigue. He cites one, and seeks that a second, unrelated Woman of Color step from the train … and into his custody. 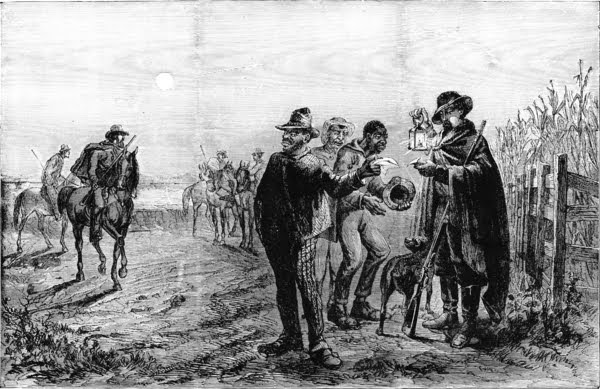 Those anchored in history cannot help but glimpse back to slave patrollers, checking the passes of un-escorted Blacks. The narrative is in full donnybrook within minutes, with commuters contending the woman aboard has a ticket. They jeer at law enforcement, about whether the African American rider or badged Inspectors themselves are responsible for delay, as the latter hold the train for armed police. At 3 minutes, Joe suggests the men step into the car, as is their normal practice. A surly Inspector threatens him with forced removal as well. You have to remember that these riders did not know one another … let alone the targets. At 15 minutes a Supervisor, perhaps informed police are instead massing at City Hall, announces the train is “being taken out of service.” It’s a moment of truth. It’s no longer a period of discussional uplift: the small group faces authorities’ uncertain consequences. They disembark, admonitions of criminal trespass reverberating in their resolve. It’s a bit of a plot spoiler to point out that Joe Anybody titled his documentary ‘TRI-MET UNARREST.’ Some may be unfamiliar with reference to a street tactic used by marchers and protesters to directly assist individuals in escaping arrest. Even without a musical soundtrack, it makes great drama. I can think of study questions. How have times changed, since the Jim Crow Era, when Blacks were segregated in public conveyances? A BitterSweet value is “Seeking justice; expressing and experiencing mercy and compassion that lead us, and those around us, toward peace and healing.” Do we confine this work to safe environments, where others have convened with a shared agenda? Can it be a way of living, one which prevails against adversity? Perhaps you’ve not taken to the streets, in direct action to make #BlackLivesMatter. (See right.) Members of the national, General Assembly of the Unitarian Universalist Association in 2015 laid themselves across Portland’s light rail tracks. Their die-in fractionally commemorated the 4 ½ hours Michael Brown’s body lay on a Ferguson street. This reporting indicates a common response when interrupting the flow, when requiring pause among busy people in the nation’s whitest city of its size: “Multiple drivers who were inconvenienced by the traffic yelled obscenities at the protest. Two teenage passersby were heard questioning whether messing up people’s day was the best way to “get us on your side.”” The above, 2016 transit riders – after a 20-minute commitment – were not yet on track to get to their jobs. Having witnessed their efforts, do you feel differently about traffic delay, brought on by civil disobedience? How much time do you have, for racial justice? In service to protection of Native American land rights and religious expression since 1983, I currently seek to implant racial justice in our nation's criminal justice system. Historian, working author. The link to the video appears to be broken. However, from what I read, it made me wonder if I would have intervened? Would I have had the courage? Causing some soul searching here. A remarkable interaction and such a moment(s) of truth. Is America finally waking up? Dave’s story says “bittersweet” to me, BitterSweet: Linked Through Slavery. The questions posed by the story, of what actions each of us would take for justice, for our linked sisters and brothers, for our American sisters and brothers, feel bittersweet to me. Bitter – would I really act? Would I inconvenience myself for a stranger, no matter how linked? Would I risk arrest and prosecution? Sweet – There are those who do! I am re-inspired, re-engaged. Sweet because what is spontaneous solidarity if not an expression of how we are linked, how justice for one or two or several is justice for all? Thank you for the bitter sweetness. I see some Americans waking up. And then I see many others who support a police state at the ready to control free speech and movement with arrest and violence, primarily toward those who do not look like them. Folks would benefit from understanding the domino effect, of imposed racial disparities compounded in daily life. At the post, Walking While Black, we document well-being consequences … when ejected riders become Pedestrians of Color in the nation’s whitest city of it’s size. They extend to hospitalization. What would life be like, if Whites trained themselves to listen to racist provocation in public spaces? I found To The Non-Racist White People, Please Just Be The First a well-written plea. Multnomah County Circuit Court Judge John A. Wittmayer ruled random stops of TriMet passengers violates the Oregon Constitution: TriMet Fare Enforcement Unconstitutional. Dragnet searches violate the rights of all people who are stopped, whether or not they have proof of fare. “This has an outsized effect on people of color, because it increases the already disparate impacts of over-policing and over-prosecution,” observed Mat dos Santos, Legal Director, ACLU of Oregon. Portland State University, Criminal Justice Policy Research Institute, found – as of the date of the original post – African-Americans made up 22% of those excluded from trains and buses in years he examined. They comprised 18% of fare-evasion incidents and 6% of Portland population by 2010 census data. “Furthermore, TriMet fare enforcement seems to target stops in low-income neighborhoods and places people go to get social services,” said dos Santos.